Are you a runner or athlete looking for a simple way to reduce leg cramps and muscle soreness? The ProSourceFit Massage Stick Roller is a handheld, easy-to-maneuver massage tool that targets tight muscles for reduced pain and improved mobility. The Massage Stick Roller is a convenient way to roll out your calves, shins, thighs, back, feet, or any other tight spot on your body. Ideal for runners and weight lifters, the 9 massage rollers are firm for working out tough knots, and comfort grip handles allow you to adjust pressure as needed to reduce cramps and muscle pain. Use pre-and-post-workout to increase mobility and blood circulation and reduce muscle imbalances. The slim 18-inch long stick is perfect for storing in your gym bag or carrying anywhere for a quick massage whenever you need. Should You Use a Foam Roller Before a Workout or Run? 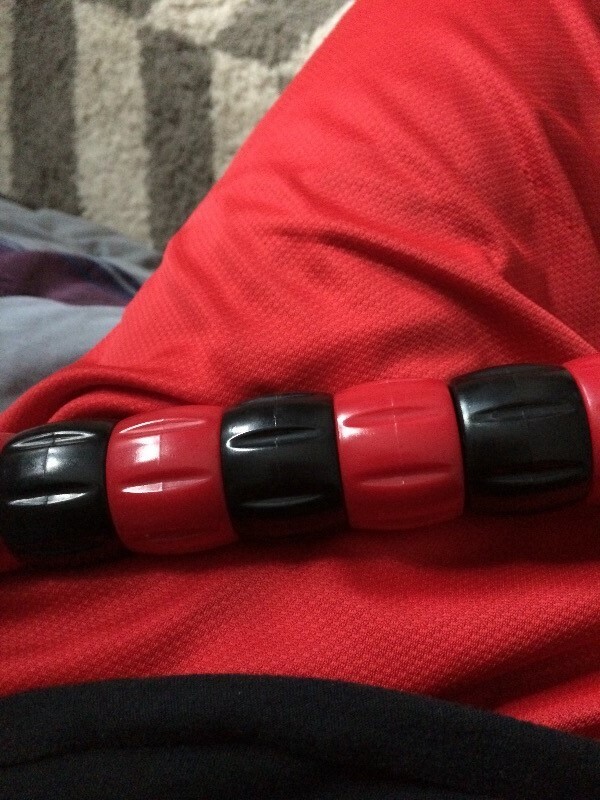 I use the stick on my legs and it is easy to handle and works well on my muscles and joints. The ease of use and portability are great. The massage of tight or sore spots works wonders. Love it! Awesome price and does the job!